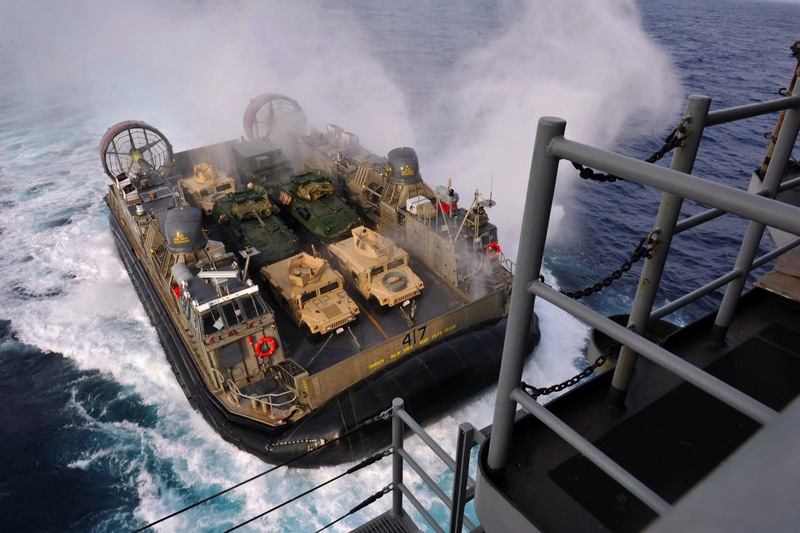 The untrained eye might not recognize much similarity between light hovercraft, such as the 6-passenger Neoteric Hovertrek — exclusive training craft of HTC, and the giant U.S. Navy Landing Craft Air Cushion (LCAC) — a 100-ton, $22-million behemoth designed to transport 180 fully-equipped Marines along with weapons systems and heavy cargo directly from ship to shore. But these two vehicles share a fairly significant — and perhaps surprising — trait: they operate by the same basic principles. Just as a 2-seat Cessna flies by the same rules as the Boeing 747, all hovercraft are governed by the four forces of flight: lift, weight, drag, and thrust. Learning to get off the ground and make the split second decisions a pilot faces are simply a matter of mastering these aerodynamic principles. As Einstein might have said, the rest is details. 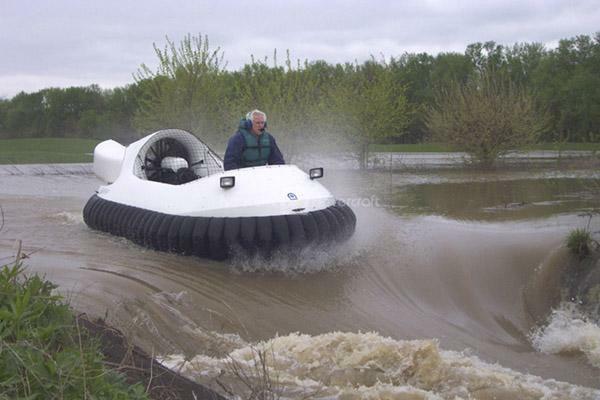 Chris Fitzgerald, founder and lead engineer at Neoteric Hovercraft, Inc. and founder and President of Hovercraft Training Centers has known this for a long time. 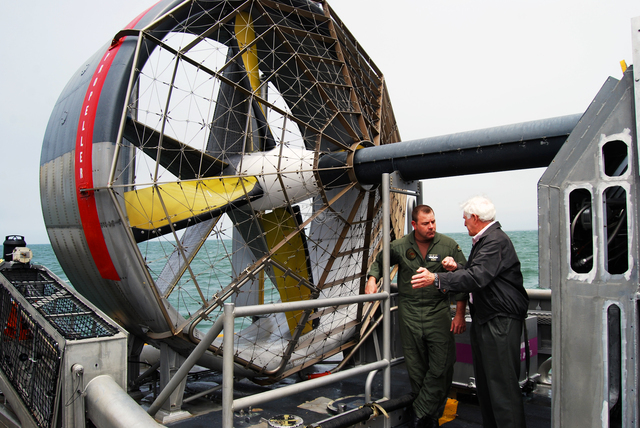 Until recently, the largest craft he’d ever commanded was a 20-passenger hovercraft, but he has always suspected that — given a chance to familiarize himself with the controls — he could immediately pilot a hovercraft of any size or class based solely on his mastery of the core principles of hovercraft flight. 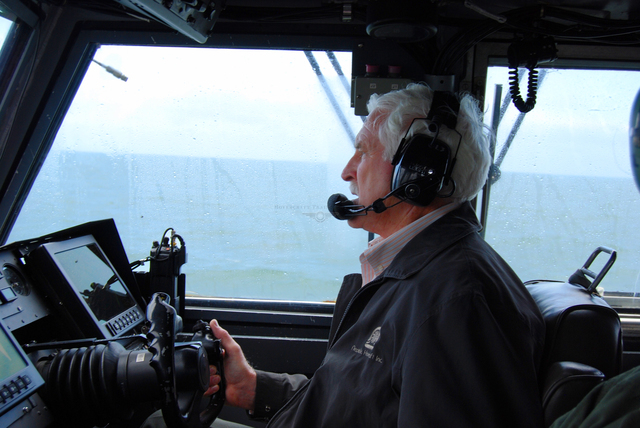 Last month Fitzgerald visited the U.S. Navy Assault Craft Unit 4 in Virginia Beach and was invited to step into the pilot’s seat to test his theory. Turns out the proof was in the pudding. Fitzgerald fell in seamlessly as craftmaster, the lead or pilot role in a five-person crew that also includes a navigator, an engineer, a deck engineer, and a loadmaster. Just as aircraft pilots follow a progressive training protocol — mastering the fundamentals on light aircraft and moving on to larger, more sophisticated models as skill level increases — Fitzgerald believes this same training sequence could benefit the Navy. 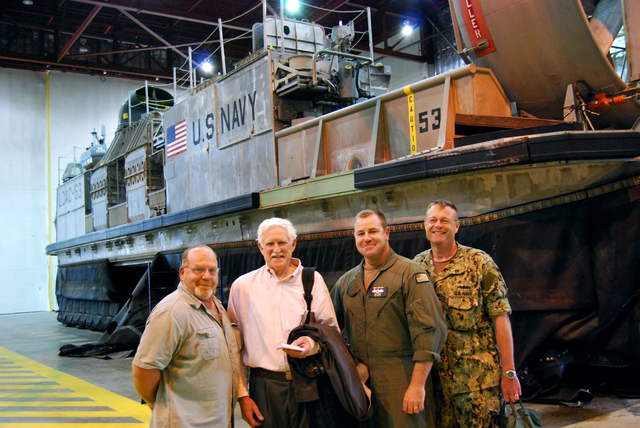 Training prospective LCAC crew members on light hovercraft would dramatically reduce the cost of training and annual recommissioning by minimizing training hours on the LCAC and simulators — both very costly to operate. 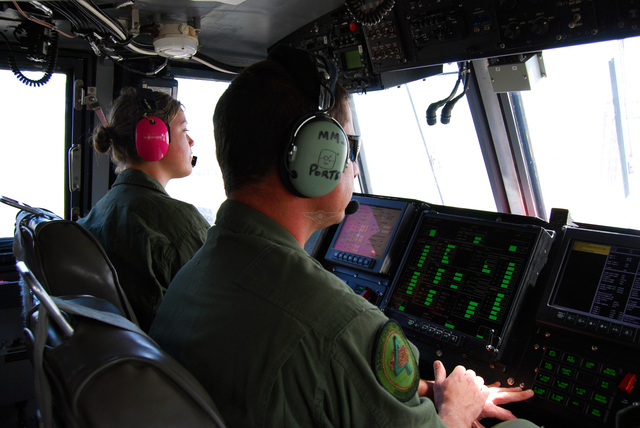 Hovercraft could serve as a cost-effective means of vetting prospective pilots, thus reducing attrition rates, and act as a recruitment tool — allowing interested candidates to test their potential aptitude for the technology with little risk or expense. 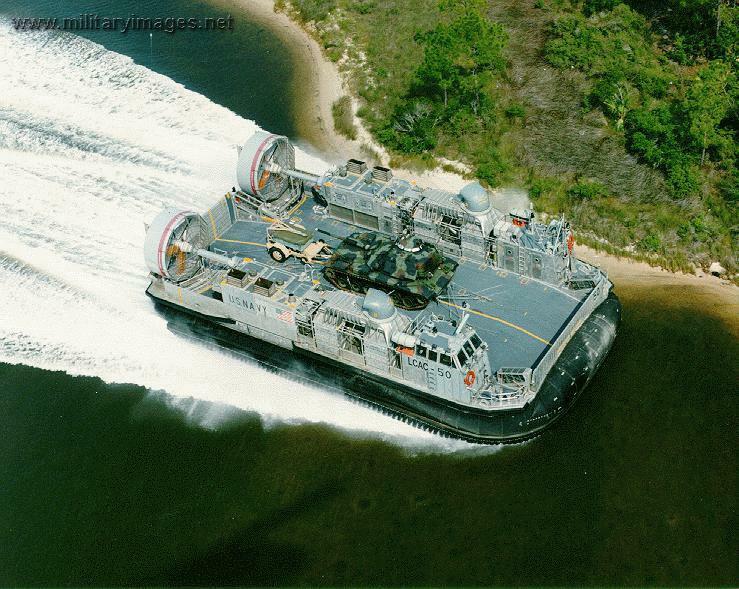 The current LCAC training program is an extensive, expensive process with high attrition rates. After pre-qualification through physical and aptitude testing, applicants undergo a six-month training cycle: 12 weeks of classroom instruction, flight simulator and computer-based training followed by 12 weeks of real hovercraft operation. According to a source inside ACU-4, hourly operating cost for LCACs is around $7,800. 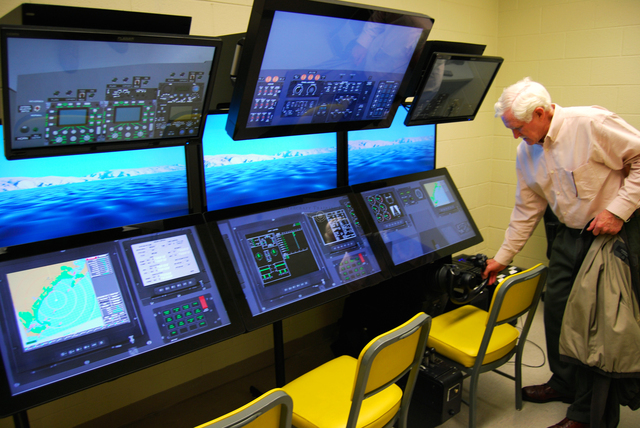 Even the simulators, which the crew operates for approximately 100 hours during training, costs about $800 per hour. All told, the source estimates the cost per trainee at around $200,000. Plans are underway for U.S. Navy craftmaster trainer Andy Sutter to visit Hovercraft Training Centers’ headquarters to evaluate our one-day Standard Training course and discuss how light hovercraft training could benefit the Navy’s current training programs for LCACs and the new Ship-to-Shore Connector (SSC) hovercraft currently being developed to replace the aging LCAC fleet.